Have you realised how many great benefits sliding doors would bring to your property? For the highest quality patio doors Worksop can get, get in touch Clearview. Our friendly team would be happy to discuss your requirements and provide you with a free estimate with no obligation to commit – just call us on 08001 357 167! Here at Clearview, we offer a great selection of doors that can completely transform not only the look of your property but also the way you live. With our solutions, you can bring the outside world in and get amazing views. Our aluminium patio doors in Worksop will achieve a stunning result, each and every time. 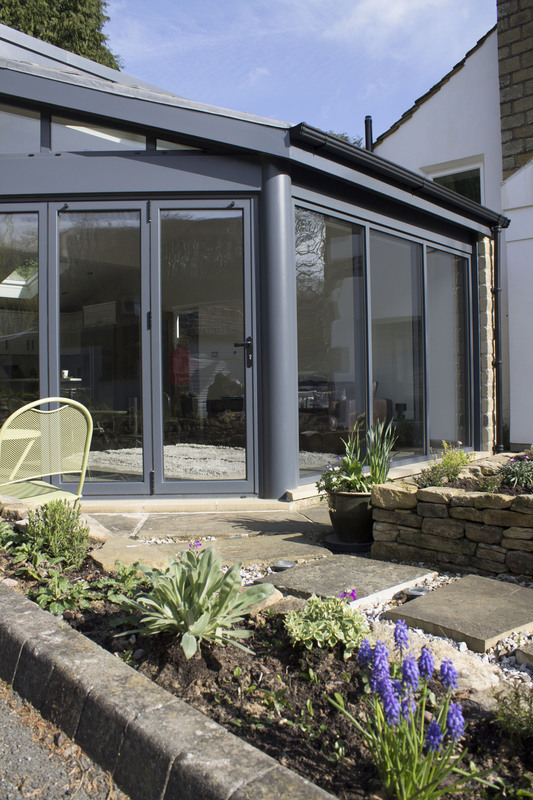 Just imagine sliding your new Worksop patio doors open on a warm sunny summer morning and enjoying your first cup of coffee overlooking the garden. Later on, you can invite some friends over for a few drinks or a barbecue and navigating the patio area and the kitchen will be easy. 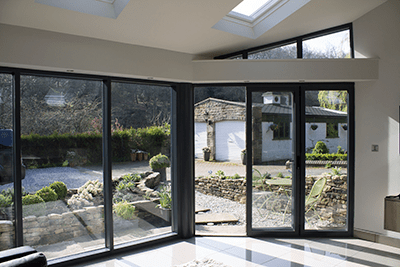 When searching for “patio doors Worksop” online, it’s always important to pick a provider who can demonstrate a track record of past excellence, which Clearview definitely can. Many people order their doors from us after finding out about our company through a referral or a recommendation from someone they know. The doors will have modern aesthetics that are guaranteed to add a touch of finesse to any external aspects of the property. When closed, the doors will complement your interior with a beautiful glass façade. The aluminium profiles of our patio doors Worksop loves have been manufactured to provide strength and durability, delivering a structurally secure product that requires little to no maintenance. Call us on 08001 357 167 and see why we’re the best choice for doors Worksop has seen. The engineering quality of our doors is such that they can be operated simply by applying fingertip pressure. However, this does not compromise security. We utilise multi-point locking systems that ensure a high level of burglar resistance for your full peace of mind. At Clearview, we can design, manufacture and install bespoke patio doors Worksop is going to love in under four weeks. You will be hard pressed to find another company who can offer such a speedy comprehensive service at an affordable price. Why Buy Your Worksop Patio Doors from Clearview? Clearview will provide you with a full end to end solution for getting the best patio doors Worksop has ever seen. All projects begin with an informal chat about your requirements, so we can get an exact idea of your unique tastes and objectives. Once you have decided on the details of your new patio doors in Worksop, you will be issued with an itemised quotation. Our team believes in transparency, so you can rest assured knowing that there will never be any hidden charges to deal with. Where possible, we like to carry out a site survey and take our own measurements. This enables us to ensure that your new Worksop patio doors will fit flawlessly. Should any issues arise, we will always take full accountability and get them sorted in no time. Are you now ready to stop Googling “patio doors Worksop” and get in contact with Clearview? 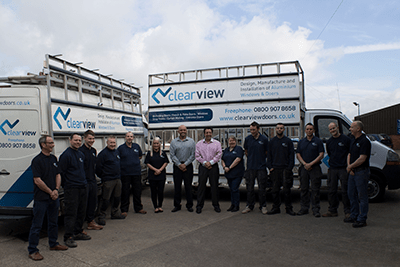 You can reach our friendly team by either calling 08001 357 167, emailing sales@clearviewdoors.co.uk or filling in our simple online enquiry form with your details – we will respond shortly!